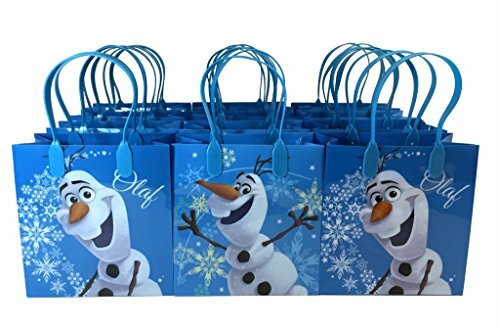 This is official licensed 12 Disney Frozen OLAF character goody bags . This is good quality plastic goody bags. Size of goody bags approximately 6.5"x 6.5"X 3.0". You are buying 12 plastic gift /goody bags. SIZE APPROXIMATELY 6.5" X 6.5" X 3.0".